Below you can view all the homes for sale in the Taft Woods West subdivision located in Clayton North Carolina. 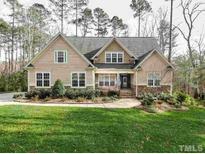 Listings in Taft Woods West are updated daily from data we receive from the Raleigh multiple listing service. 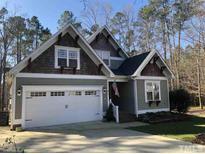 To learn more about any of these homes or to receive custom notifications when a new property is listed for sale in Taft Woods West, give us a call at 919-759-5792. Gorgeous Custom Home by Royalty Homes in Taft Woods West ~Extensive Hardwoods & Custom Trim~2 Story Foyer~Formal Dining w/Floor Inlay & Decorative Ceiling~Butlers Pantry & Gourmet Kitchen w/Island, Eat at Bar & Spacious Nook~2 Story Family w/Floor to Ceiling Double Sided Stone Fireplace & Decorative Shelves on 2nd Story~1st Floor Master Suite w/Glamour Bath~3 Bedrooms + Bonus & Walk In Storage Upstairs~Peaceful Screen Porch w/Fireplace + Patio~Irrigation~Central Vac~Fridge/Washer/Dryer Convey~Tankless Hot Water MLS#2237482. 1197. Wooded Fenced in yard w/firepit & water feature! MLS#2237104. 4981. Large Walkin Attic, Plumbed and ready for future expansion. Home Warranty! MLS#2232801. 3065.